2. Material : Made of melamine laminated flake board or MDF (MFC ), have the character of anti-water ,anti-dirty, anti-scratch . 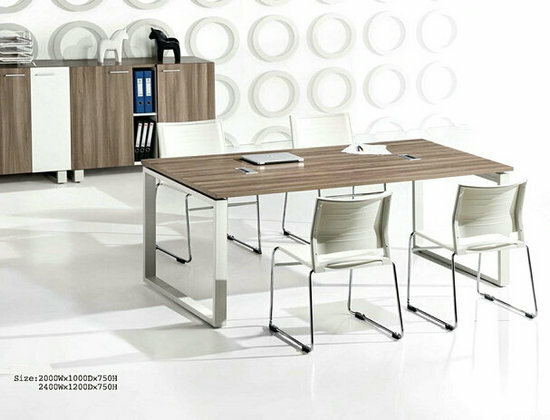 3.Special character of our office table : All the edges sealed with high quality PVC 2mm , the glue used for the lamination which is imported from Germany , friendly for the environment .All the hardware parts are good quality ,strong and durable .